I received complimentary products to provide this giveaway, all opinions are my own. Finding the perfect gift for the man in your life can be hard enough. But what about dad? Tired of giving the same old stuff? Welcome to a new gift guide by Nanny To Mommy. This year we are conducting our very first Father's Day Gift Guide. More details will be on the blog as Father's Day gets closer. Today I have a special feature and a chance to win a prize too! Just in time for the release of Guardians of the Galaxy Vol 2, Thunder Bay Press presents Guardians of the Galaxy 1000 Dot-to-Dot Book. Join your favorite band of interstellar heroes on a thrilling adventure from best-selling dot-to-dot artist Thomas Pavitte. Featuring 20 complex puzzles to complete, each consisting of at least 1,000 dots, this book will bring hours of fun to fans of Rocket, Groot, Star-Lord, and the rest of the team. Marvel fans will have a blast bringing the Guardians and their foes to life! One lucky Nanny to Mommy reader will win a copy of each title featured. Entry is simple, just follow the prompts on the Rafflecopter below. Open US only, must be 18+ to enter. Winner chosen via Random.org through Rafflecopter. All winning entries are verified. Please follow us on Facebook to stay up to date with our current giveaways. Good luck! This giveaway has been sponsored by Media Masters Publicity. All thoughts are my own. 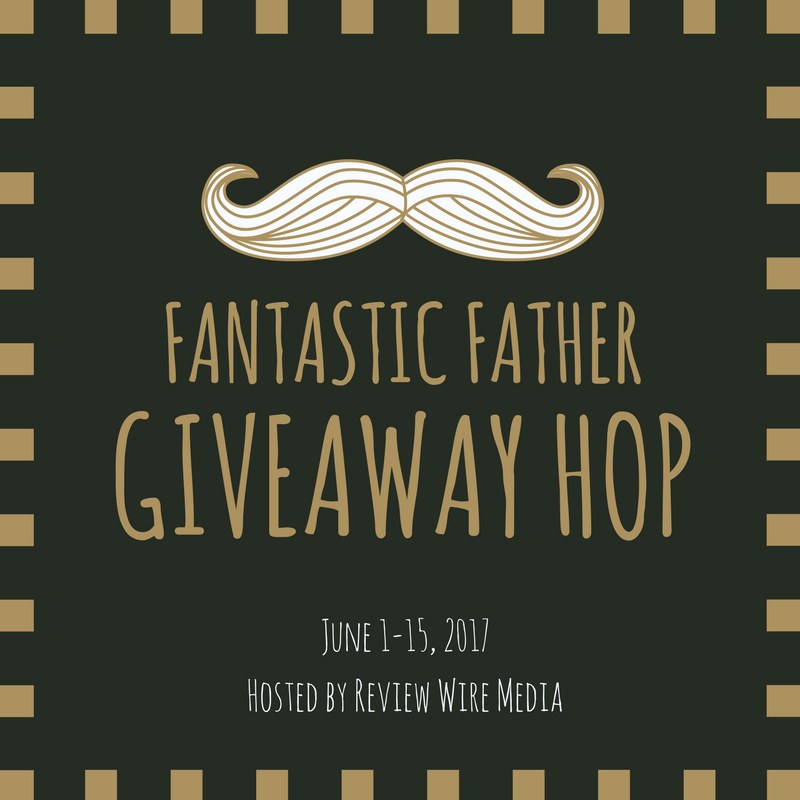 This contest will run thorough June 15, 2017 at 11:59 EST. No purchase necessary. US entries only. Must be 18 years or older to win. This promotion is in no way sponsored, endorsed, or administered by or associated with, Facebook. You understand that you are providing your information to Nanny to Mommy and not to Facebook. Please note that Nanny to Mommy, Review Wire Media, and other Fantastic Father's Day Hop participating bloggers are not responsible for sponsors that do not fulfill their prizes. We have represented each sponsor with the expectation they will fulfill their prize in a timely manner. We will contact the sponsor regarding your prize(s). The sponsors, in most cases, are shipping their items to you directly. I will make every effort to assist you obtaining your prize. If there is an issue with a sponsor, please notify the blog you won a prize from within 4-6 weeks for assistance, after that we may be unable to assist you. I would like to win for my nephew, we love Gaurdians of the Galaxy!! 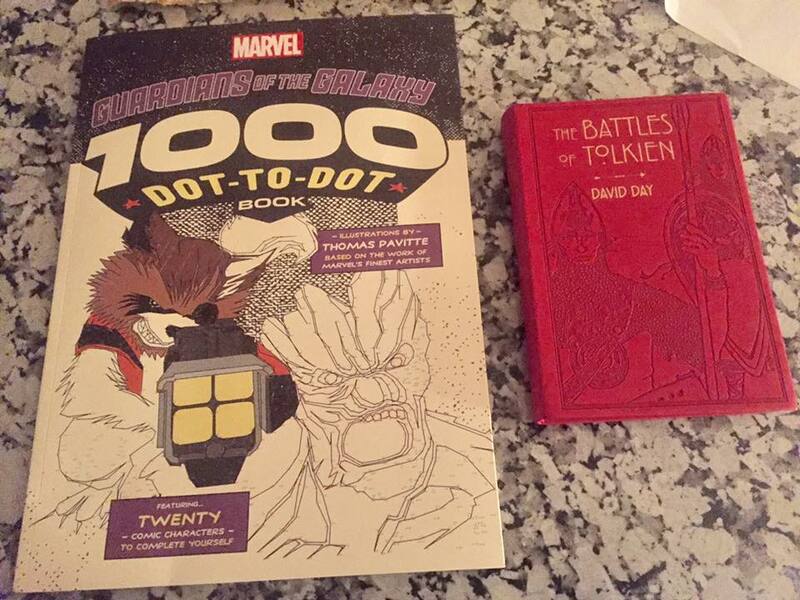 I would love to win these books because doing dot-to-dots are fun and we are big Guardians of the Galaxy fans and my son would go crazy for the book The Battles of Tolkien he would love reading this! Our grandson would love the Dot to Dot book and I would definitely love the Tolkien book to add to my growing collection. Thanks so very much for the awesome giveaway opportunity! I really want to win this so that I can give The Battles of Tolkien to my husband. Both he and I are really into The Hobbit & Lord of the Rings and he is super interested in the lore and history behind the battles in the story. I think he would LOVE reading this book. I would give this to my boyfriend. He would really enjoy this lol. The whole family would love this! We love doing dot-to-dot and other puzzle books! They are fun challenges! I think my two grandsons would love this, so I would give these to them. I want to win this for my cousin! I know she would love it. I would love this for my son and daughter. They both are huge Marvel fans. I would like to win because we LOVE Guardians of the Galaxy and pretty much every Tolkien book there is! We would share these books as a family. This would be for my daughter-in-law and grandson. I would like to win for them. They would enjoy it. I'd love to win it for my kids. They would love this.